To email Hubstaff reports, click on “Reports” on the sidebar menu, then click on the “Time & Activities” page. After doing that you’ll have the option to filter down your results and get your reports looking exactly how you like, whether you need to filter by a certain date range, projects, or team members. 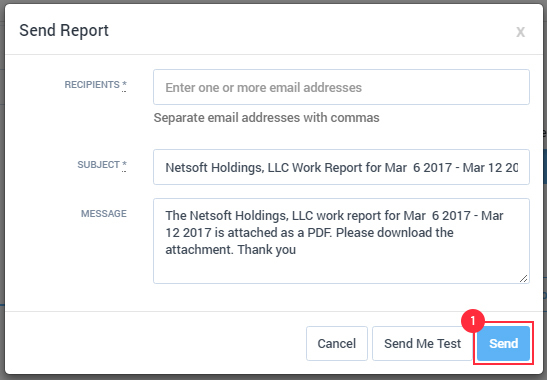 After clicking the “Send” button, you will see a box that allows you to enter the subject of the message, the message body, and the email addresses you wish to send the report to. To send to multiple addresses, enter them separated by commas. The reports will be delivered in PDF format to the address you specify. Read more about exporting reports. How do I get a detailed report of my team’s work hours? How do I know how much has been spent?